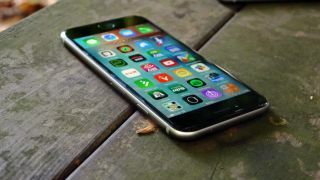 Apple has all but opted out of the mobile specs race in the past, releasing handsets which are impressively speedy despite packing just dual-core processors and 1 or 2GB of RAM, while rivals move to octa-core chips and up to 4GB of RAM. But that could all be about to change, as according to Weibo tipster I Ice universe Apple is developing an A10 processor with up to six cores. Apparently the chip will be made using either a 10nm or 14nm manufacturing process, with Samsung, TSMC and Intel competing for orders. While a jump to a hexa-core chip is possible we have our doubts, as it would be a very big jump and Apple's never been one to massively up the specs just for the sake of it. That said it's probably about time the company moved beyond dual-core processors, so maybe it is just going to skip quad-core ones and move straight to six. We probably won't know for a long time yet though, as with the iPhone 6S only just hitting stores we likely won't see the iPhone 7 for almost a year. The iPhone 7 could also be in for a resolution jump.